A business contract is a legally binding agreement between two or more parties. A business sale contract contains details such as price, terms of payment, price allocation, form of the transaction, liabilities, and warrants. 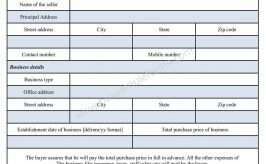 The names of the parties involved should be included in the business sale contract form. The form should clearly list the items included in the sale. This would include all physical assets, business records, cash, logos, goodwill, royalties, trademarks, databases, inventory and any other items the company used to conduct business. 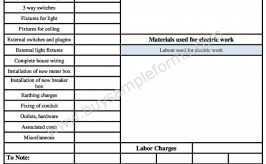 Also liabilities such as loans or other debt, including account payable should also be included in this form. The names of brokers or agents involved in the sale, as well as any financial companies facilitating the transaction should also be mentioned in the form. 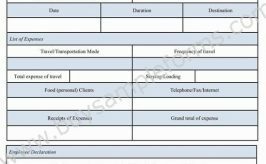 The business sale contract form also consists of a disclosure agreement that requires both parties to state that they have disclosed all legal obligations, debts, lawsuits, fines etc. It is a valuable document as it serves as evidence of the transaction. 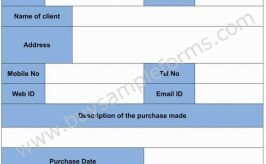 Use the printable Business Sale Contract template available online. Download it either in MS Word or PDF format. Both MS Word and PDF format can be edited and customized as per your needs.